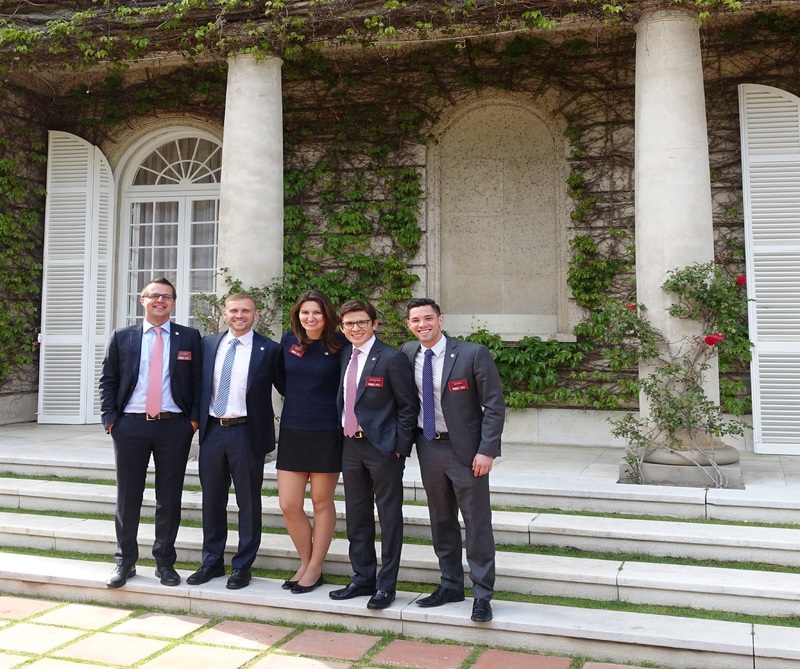 In April, a team of IMBA November 2014 Students participated in the final round of IESE Private Equity competition in Barcelona. After an internal selection process a team of 5 IMBA Students: Valerii Gladkyi, Olga Latanova, Andrey Mariyanich, Nicholas Llaneras & Juan Camilo Arana Castaneda traveled to Barcelona to represent IE in the IPEC competition this year. As Valerii said: “The IPEC provided us with an ideal opportunity to leverage our team’s financial skills and get first-handed private equity experience. The competition required our team to act on behalf of PE firm to prepare typical deliverables for an investment committee (DD results, model, investment presentation), all in a real LBO case-study. The workload completely simulated a real-life scenario and required our teams’ full commitment. Congratulations to our IE Students for making it to the final round and for holding the IE flag high!